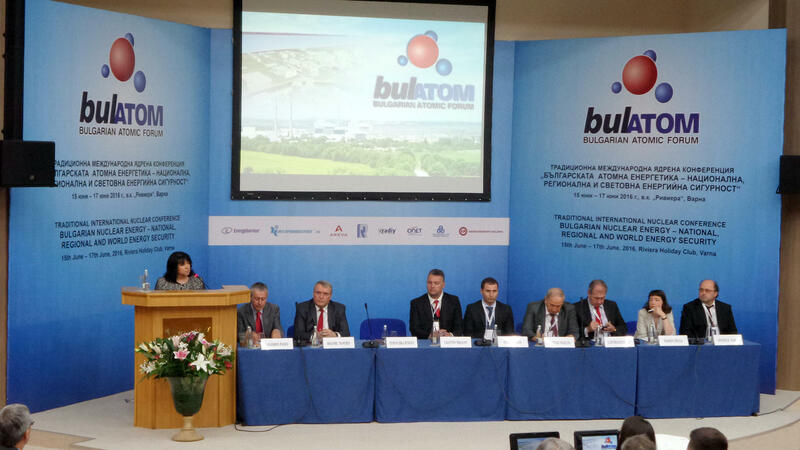 "Safe, affordable nuclear energy at a transparent price' That is the goal that must be achieved and the answer that should be given to the public about the future of nuclear energy in Bulgaria", said the President of the Bulgarian Atomic Forum (BULATOM) Dr. Eng. 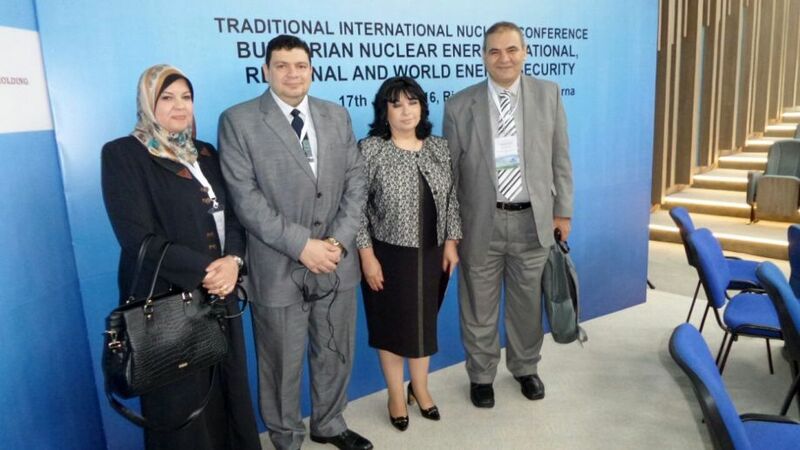 Bogomil Manchev at the International Conference of 'Bulgarian Nuclear energy - National, Regional and Global Energy Security." It was held on June 15-17 of 2016 near Varna under the patronage of the Ministry of Energy and the Nuclear Regulatory Agency. It was attended by the Minister of Energy Temenuzhka Petkova, members of the Energy Committee at the National Assembly, diplomats, representatives of leading companies from the nuclear sector, Bulgarian and foreign experts. For the first time, at the invitation of "Risk Engineering" JSC, the forum was attended by delegations from Egypt and Iran. Only such energy may guarantee the security of energy supplies. Nuclear energy is an integral part of the solution of the issue of climate change and the implementation of agreements that were reached in December of last year at the Paris Conference on Climate Changes, and related to the 70% reduction in global emissions by 2030, said Mr. Manchev. He did not rule out the possibility that the country in the face of the Council of Ministers would seek opportunities to build new nuclear capacity in order to achieve clean and emission-free energy. "We could not regulate electricity prices in Bulgaria and maintain them at low levels without new nuclear power capacity," said the President of BULATOM. According to him, people should have information on how new technologies and innovations shall be reflected in their energy bills. Dr. Manchev pointed out the great responsibility of experts and professionals in the nuclear sector, who shall be obliged to explain to the public what can be realized in the country in terms of nuclear power and what the costs will be. One of the main tasks, faced by the companies, operating in the nuclear sector, he pointed out - was to achieve high level of safety and extend the life of nuclear power plants. Bulgaria is making quite serious efforts to extend the life of Units 5 and 6 of NPP "Kozloduy", which is only part of the nuclear vision for the country. Extending the life of the two units shall ensure 2,000 MW for another 30 years. Nuclear energy has a strategic importance for Bulgaria and the Government are clearly aware of that, said Minister of Energy Temenuzhka Petkova. She added that the Government strictly adhere to the management program and shall work to develop new nuclear power capacity, when the project becomes economically justified, without state guarantees and shall be implemented by a strategic investor. Support for nuclear energy was also expressed by the Vice-Chairman of the Energy Committee at the National Assembly - Valentin Nikolov. The President of the Atlantic Club in Bulgaria Solomon Passy expressed hope that the leaders of the main political forces in Bulgaria would reach an agreement on the future of nuclear energy in Bulgaria. The Egyptian delegation, led by Dr. Hassan Mahmud Hassanein, first deputy Minister of Electricity and Renewable Energy of the Arab Republic of Egypt, Dr. Amdzhet Saeed El-Uakel, General Manager of the project for the construction of NPP in El Daba and Dr. Yasoo Khalil, Executive Chairman of the Office for the Construction of a Nuclear Power Plant met with Minister Petkova and addressed her with a special invitation to visit their country. 'Risk Engineering', as a leading private company in the nuclear sector in Bulgaria, is also expected to be invited to this future visit. The experts from Egypt learnt about the Company's experience and the Company's achievements in the field of technological solutions and the projects, implemented in the nuclear energy sector of the country. During the conference, leading experts from 'Risk Engineering' JSC presented opportunities for development of the project for the construction of NPP 'Belene' as a private project, and also assurance and quality management in the implementation of nuclear projects.